Add experimentation to your development process with the Jira and Optimizely integration. 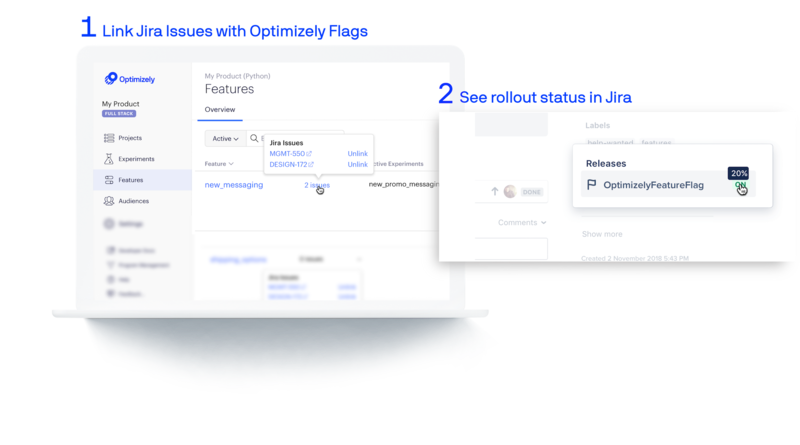 Connect Jira issues to feature flags and experiments in Optimizely and give your team visibility into which features deliver the most value to customers. Already a Full Stack customer? Enable the integration by following the instructions in our Jira Integration article.